After the first marvellous show where we were showered with love and warmth, we bring the second show of ek stahyi musafar. The play talks about a very special relationship. It talks about the different perceptions and how all of them hold true in court of understanding. A traveller who embarks on a journey will halt for the first time to learn and teach also. 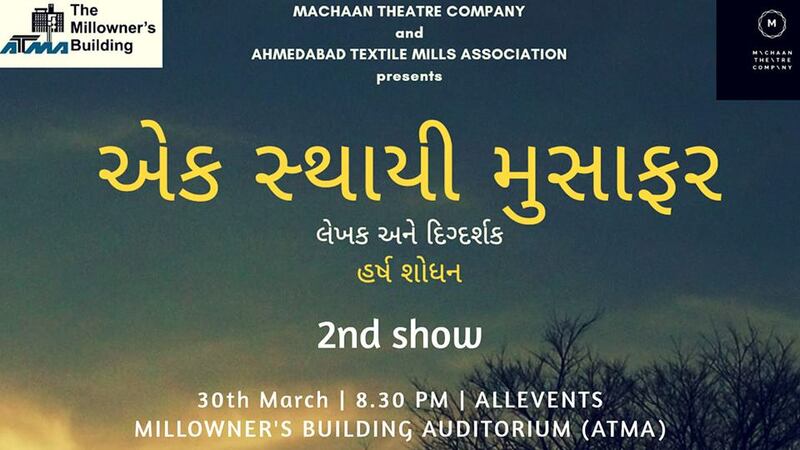 The play is being performed at a complete new venue that is ATMA auditorium.